Google announced their second phone – Nexus S recently with some impressive specs. It has an awesome 4” contour display, 1Hz Hummingbird processor and comes loaded with the latest Android 2.3 Gingerbread version. 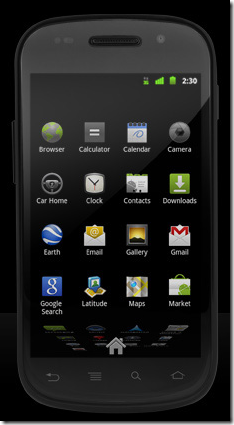 Google’s own phone- Nexus One is popular among techies as they provide a pure, unadulterated Google Android experience. And I am sure this one is going to sell quite a bit too. Starting today, you can buy an unlocked Nexus S either in-store in Best Buy or online at Best Buy’s website. The unlocked phone goes for $529. Or you could sign-up for a T-mobile contract and get it subsidized for $199. Kind of expensive for my taste but then again who has the wallet for it why not…I mean as far as I`ve read it`s performances lives up to the price of it. i want a new nexus but i still want galaxy nexus s!